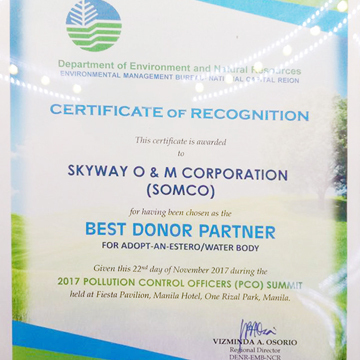 November 22, 2017 – SOMCO once again received a certificate of recognition for having been chosen as 2017 Best Donor Partner for Adopt-an-Estero / Waterbody Program from the DENR (Department of Environment & Natural Resources). 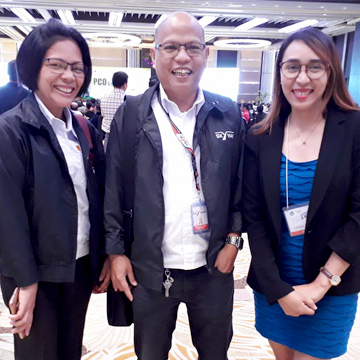 The award was given during the 2017 Pollution Control Officer (PCO) Summit held at the Fiesta Pavillion, Manila Hotel, One Rizal Park, Manila. 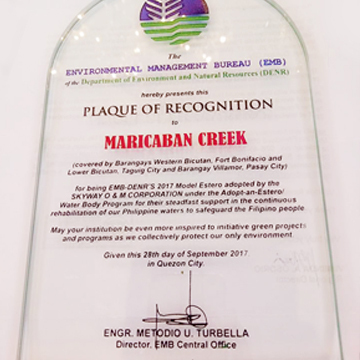 SOMCO is recognized for its continuing efforts and commitment to environmental protection and conservation by adopting creeks/rivers that traverse the Skyway tollroad network. 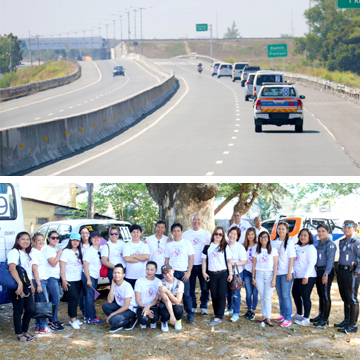 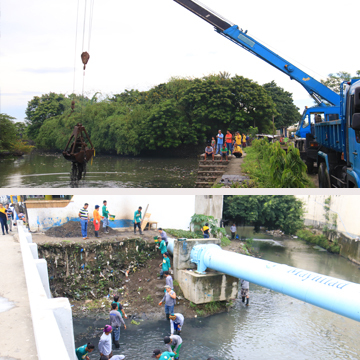 SOMCO regularly conducts dredging operations, information and education campaigns, LGU mobilization activities and training programs on environmental conservation for the neighboring communities. 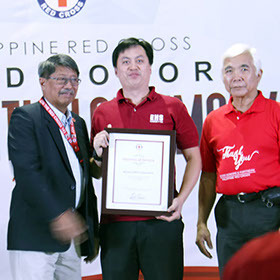 The award was received, on behalf of SOMCO, by Bladimer Limon, SOMCO Pollution Control Officer together with Jonafe Irasga, Sr. Support Services Officer. 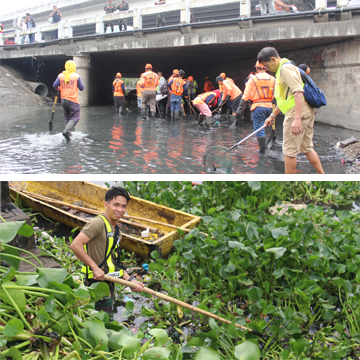 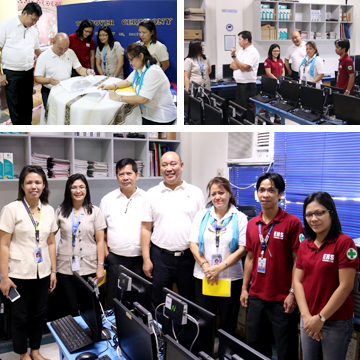 SOMCO is committed to contribute in continuing partnership and collaboration with communities along esteros, concerned LGUs, other private institutions and the DENR to achieve cleaner and sustainable natural water bodies now and in the future.